Recently, the Art of Coaching Volleyball staff had a chance to sit down with the University of Southern California Head Coach Mick Haley. In his 36 years as a collegiate head coach, Haley ranks seventh among the NCAA's winningest active coaches according to win percentage (.808) and fourth for all active coaches by victories (836). He owns a 323-59 (.846) career record against conference opponents while competing in the Southwest, Big 12, Pac-10, and Pac-12 conferences. After winning the Pac-10 title in 2002 and 2003, and the inaugural Pac-12 title in 2011, he now boasts 17 career conference titles. How is a USC practice structured? 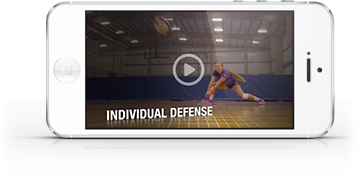 What is the culture of your defense? What separates you as a coach? Haley is a fan of the Moneyball philosophy. He wants to know his team’s numbers and he wants to know how those numbers compare with the norm. But he prioritizes. For instance, he’s not as concerned with the number of digs his team gets as he is with the number of times his team transitions a dig into a kill. Why did you pick volleyball as your sport? It’s a simple point, but Haley emphasizes that embracing different coaching experiences and being willing to evolve with the game are key components to long-term success. Haley has three suggestions. Not surprisingly, one of them is Moneyball. Here’s what he says about that book and two other books that have had a lasting impact on his coaching style. “Leave the game alone” is a succinct summary of Haley’s position on rule changes. He points out that current rule discussions are all about fitting matches into a two-hour window for TV, but rule changes don’t always produce the intended results. Case in point: The libero. Originally, liberos were designed to make the game more exciting (and rallies longer) by increasing the number of spectacular digs. As Haley points out, though, liberos are on the court to pass. Digging is just a bonus. It starts with liking what you do and also involves wanting to be a good teacher. Here’s what Haley says about the path to success as a volleyball coach.